The Commission wants to advance the geo-information infrastructure by stimulating the knowledge and the research of the stakeholders. The Commission is working on drawing up her goals and tasks. The Commission proceeds from the Commission Geo-Information Models. 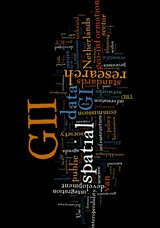 The occasion for the change is the decision of the NCG that after the establishment of the Commission Core Spatial Data the task of the Commission Geo-Information Models shifts in the direction of questions on the field of geo-information infrastructure and the geo-information and the geo-information technology of this field. The Commission is working on drawing up her goals and tasks. Provisionally they are formulated as follows. research on: a. main sticking points; b. standards; c. technology; d. retrieving. the organisation of the geo-information infrastructure.